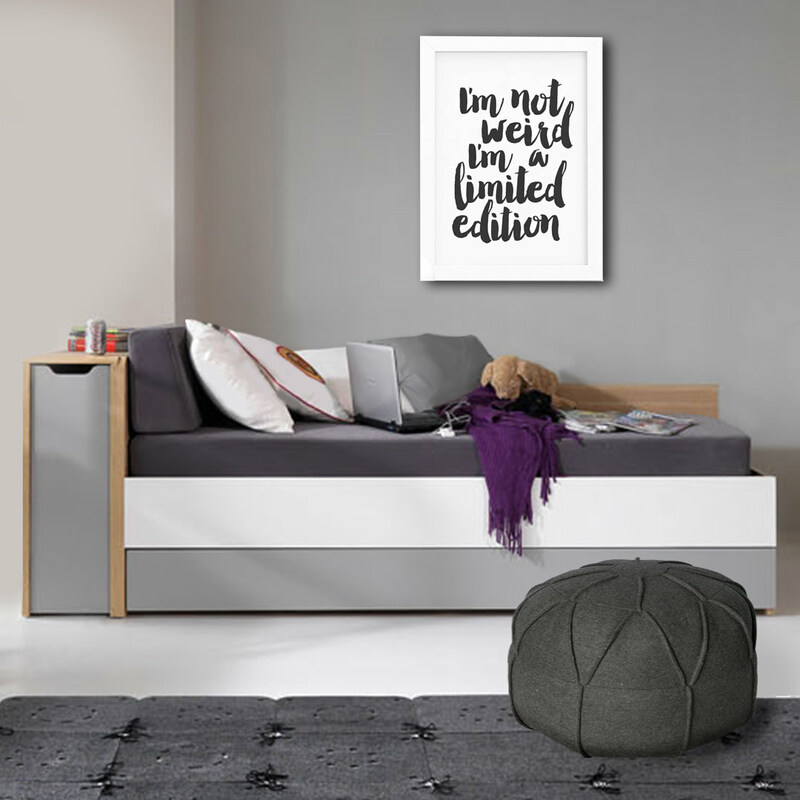 The Evolve Bed Cabinet by Vox is a clever piece of furniture that brilliantly complements the other furniture from the unique Evolve range. The long narrow cabinet – A4 paper size width and almost a meter in length – is fitted onto casters to make it easily movable. The drawer slides out vertically to unveil three shelves – the top tray for smaller items like mobile phones, and the bottom two high enough to store books. The combination of white shelves, light grey drawer front and natural wood shell creates a unique look that will enhance any contemporary room. 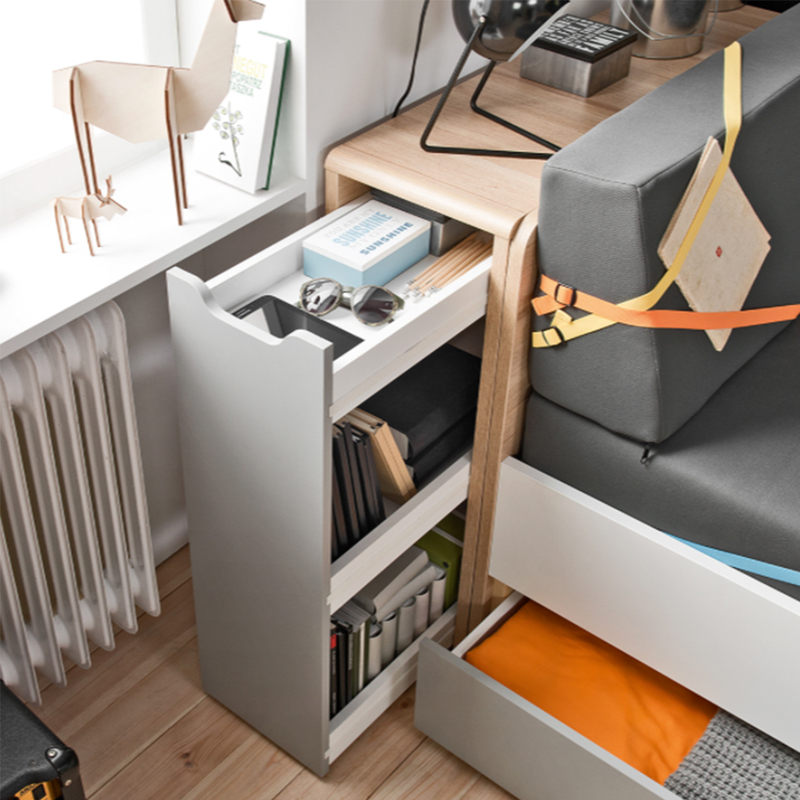 It’s very useful as a standalone storage piece or as part of the Evolve bedroom unit, fitting seamlessly behind the Evolve Couch Bed’s headrest. 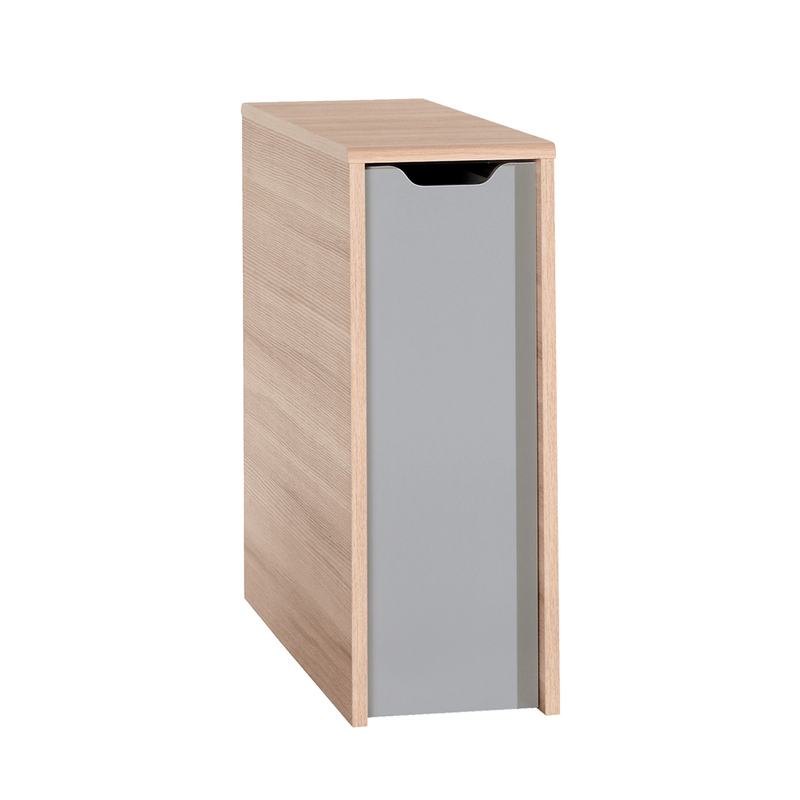 It also works as a pedestal or nightstand – great for storing plenty of bedside books!